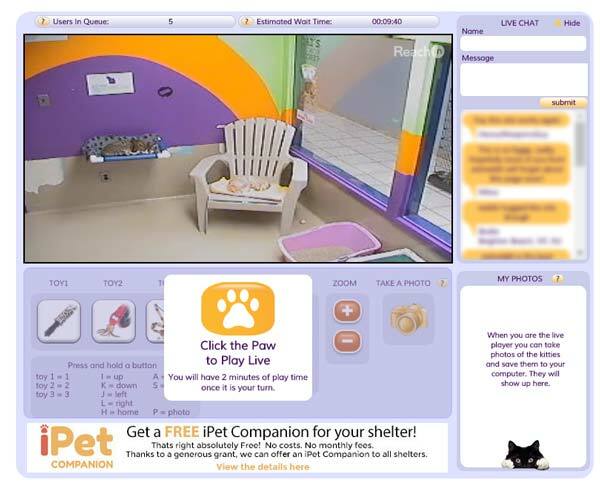 iPet Companion is an innovation that lets people across the globe interact with shelter cats through the internet. You can head over there right now and entertain shelter cats waiting for a new forever home. A simple click of a button is all it takes to get the toys wiggling and the cats moving. Shelters across North America and Canada have signed up for the scheme, which involves installing a few special plug sockets and the iPet Companion control box/camera. When a shelter has set up their hardware, participants can queue up to play by heading here to pick a destination. When it’s your turn to play, you’re in charge of the camera and more importantly, the toys! This concept isn’t just for our entertainment though. Shelters that have installed the iPet Companion system have seen an 18% increase in adoptions and as much as a 295% increase in donations. Unfortunately, we have learned that iPetCompanion is no longer operating. In June of 2016 the ad network who managed iPetCompanion was no longer able to. A suitable replacement to cover the server and bandwidth costs for the users/viewers of iPetCompanion could not been found. You can read their statement in full here. How To Play With Cats Right Now! Getting started is really easy. Simply head to the their website and pick a shelter. We headed to Welland Humane Society, Ontario. Take note of what place you are in the queue and your estimated wait time. You can either navigate back to the page when it’s your turn or watch others playing with the cats. Note that when it’s your turn, you’ll need to respond within a few seconds or you’ll lose your place in the queue! Once it’s your turn, you can control the camera with the buttons on the screen. There are also buttons that activate each toy. Take a look round the room for the toys (often labelled with the corresponding number) and get playing! When we went to Ontario, the cats were feeling a little… sleepy. They must have been tired out from playing with everyone else! iPet Companion states they are also working on a mobile app so you can play with shelter cats on the go. Thanks to a grant received by the company, it is possible for shelters to get the iPet Companion system for free. Hopefully more and more shelters will take them up on this offer so we can play with cats all over the globe! If you’re a shelter manager interested in this offer, you can read more here. You Can Feed Puppies Too! You can also feed treats to puppies in shelters too. On their ‘feed a puppy’ page you’ll find a similar list of shelters with live-streams of the puppies. 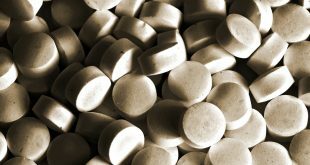 New visitors are given a free treat to give to a puppy of their choice. We decided to donate our treat to Toodles and Scooter. You can see one of them running to the food bowl in anticipation of our treat. As you probably know, puppies are notorious for chewing on things, so unfortunately you can’t play with them. But feeding them is still satisfying. You can buy more treats to support 11th Hour Rescue; a non-profit organization dedicated to animal welfare. 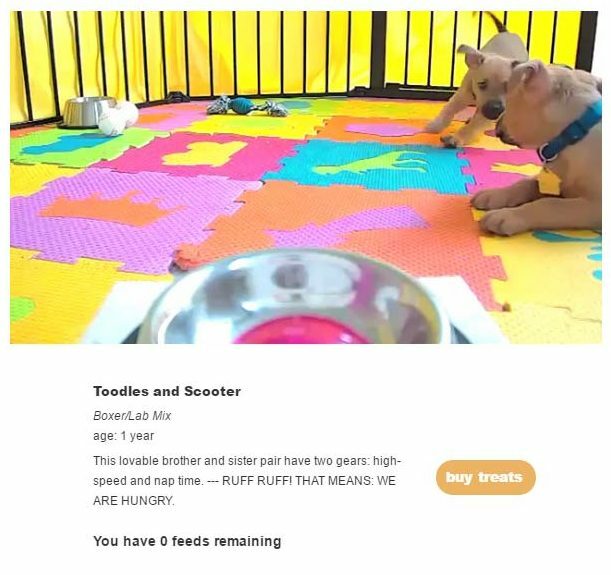 Although the puppies are live-streamed, the actual feeding is prerecorded. Interactive play with cat shelters is all live however. This might just seem like a fun way to pass a couple of minutes, but this system has had positive impact on the shelters and their animals. 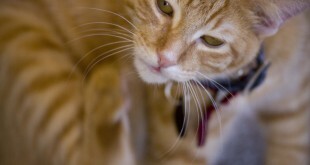 The biggest benefit for shelters has been an increase in adoptions and donations. Also important is the awareness this programme is raising over the shelters and adoption in general. 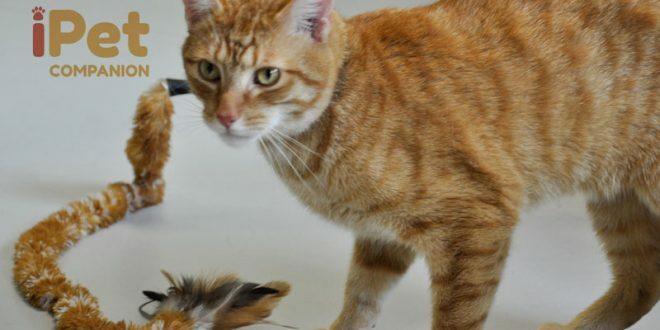 This system also engages and stimulates the cats in play, which is important for their health and wellbeing. It also gives homeless animals a chance to be seen and loved. To some extent, it even allows people to benefit from the positive effects of pet ownership. The iPet Companion system gives users a chance to bond with the animals, remotely, yet directly. This creates a connection, makes people more likely to take the next step and adopt a pet! Let us know which shelters you e-visited or which dogs you donated your treats to in the comments below.